Facebook has officially thrown its hat – and its 2 billion users – into the ring for streamable programming. Thrillest, NowNext News, and The Dodo have all signed on to create programming for Facebook’s Watch Tab. Simply put, the Watch Tab will deliver new and original content to users while giving creators guarantees on revenue. Some of that bottom line revenue will come from set prices Facebook is willing to pay for content and some will come from a level of ad revenue Facebook will guarantee to a company. Google Ads have become so easy to use that they are now utilized by companies large and small. While their ads may now be easy for companies to use, that doesn’t mean they’re easy to track. 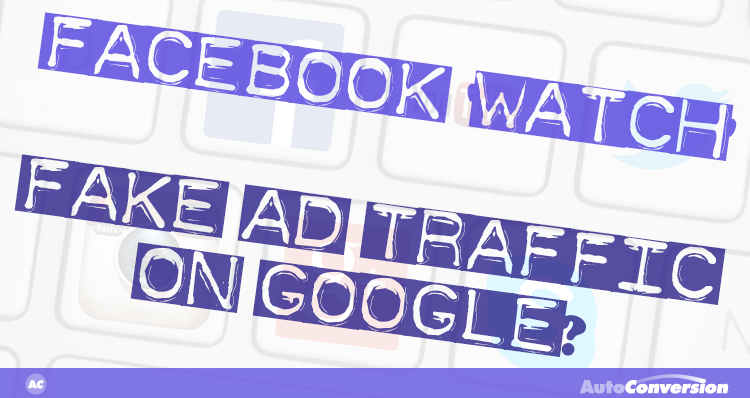 It was discovered that a number of Google Ads were placed on websites only visited by fake traffic. The fake ads were generated by bots and automatic software designed to direct fake traffic to a site in order to increase ad revenue. Companies who had their ads pasted into these fake websites effectively threw their marketing dollars out the window and now Google is ready to refund part of their loss and implement safeguards to keep it from happening again.